Unusually creative programming and ever greater sonic homogeneity: 60 years after it was founded, in the immediate postwar period, the Munich Chamber Orchestra (MKO) is a shin- ing beacon in German orchestral life. Under its Artistic Director, Alexander Liebreich, the ensemble has increased its subscription numbers by 40 per cent in recent years, notwith- standing its consistently challenging programmes. With a distinctive theme for each season (Light, Politics, the Alps, Other Worlds and, this season, Architecture) the MKO’s pro- grammes – inspired, exciting and often surprising – juxtapose works from the past with music from our own time. 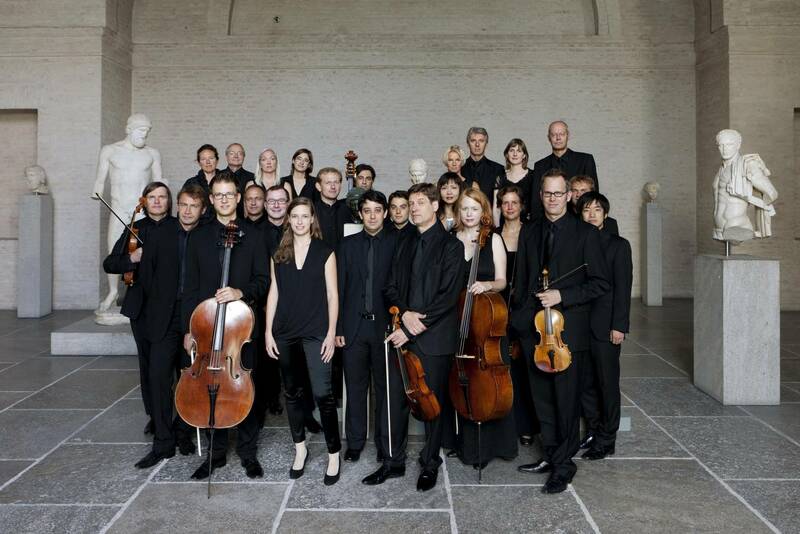 Since 1995, when Christoph Poppen became Artistic Director and established its unmistaka- bly dynamic profile, the ensemble has presented over thirty world premieres. The MKO has received numerous honours for its imaginative programming, including two awards from the German Music Publishers’ Association for the best concert programme (in 2001–02 and 2005–06). 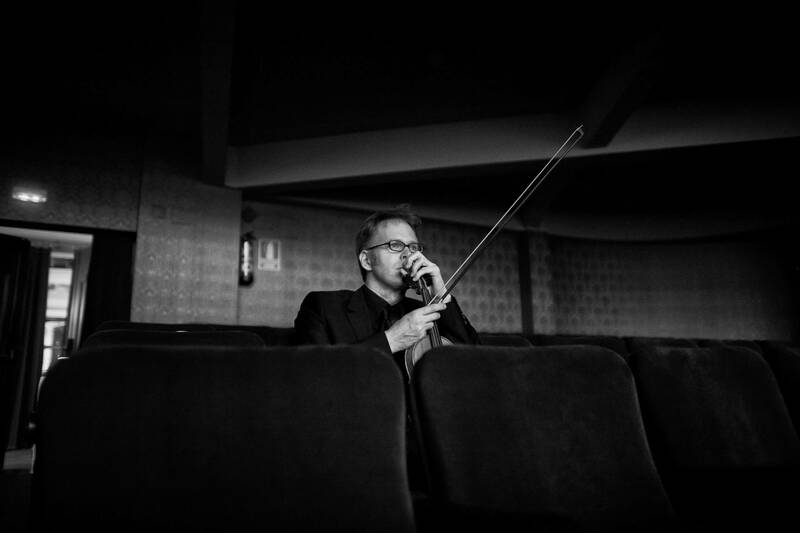 Composers such as Iannis Xenakis, Wolfgang Rihm, Tan Dun, Chaya Czernowin and Jörg Widmann have written works for the ensemble, and since 2006 alone the MKO has commissioned pieces from Erkki-Sven Tüür, Thomas Larcher, Bernhard Lang, Nikolaus Brass, Samir Odeh-Tamimi, Klaus Lang, Mark Andre, Peter Ruzicka, Márton Illés and Georg Friedrich Haas. Alexander Liebreich, who succeeded Poppen in 2006–07, believes in the experiental power and communicative intensity of contemporary music. And the tendency to think in conflicting aesthetic categories that particularly in Germany has dominated the response to musical innovation for decades now is in any case alien to Liebreich. His goal is a deeper engage- ment with unfamiliar sounds, particularly through repeat and follow-up performances. 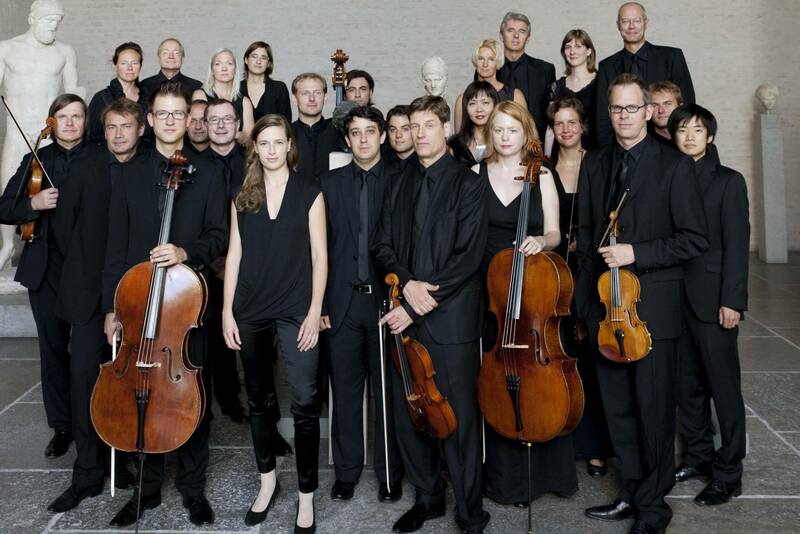 In 2008 the Munich Chamber Orchestra was awarded the “Neues Hören” prize by the foundation “Neue Musik im Dialog” for what the jury described as the orchestra’s “inexhaustible wealth of ideas in its exploration of new ways to mediate contemporary music”. Besides its Thursday evening performances in the Prinzregententheater, the orchestra’s main venue, in recent years the MKO has also introduced a number of more un- usual concert formats. For the last seven years a large, extremely well-informed audience has supported the “Night Musics” in the Rotunda of the Pinakothek der Moderne in Munich, where each concert is exclusively devoted to works by a single composer from the twentieth or twenty-first century. The MKO also regularly gives an invited musician carte blanche to devise a programme entirely of his or her own choice – and then there are the concerts sauvages where the repertoire and soloists for that evening are only revealed to the audi- ence at the very last moment. The spirit of adventure of the MKO audience shows that, besides the “typical Munich param- eters”, namely “the emotional, the Mediterranean, the Catholic and the ritual” (Nikolaus Bach- ler, Intendant of the Munich Opera), there is, in the Bavarian capital, a no less palpable thirst for rather more playfully extending one’s horizons – a willingness to engage in challenging encounters with the unknown in the company of musicians whose energy, enthusiasm and daring connect directly with the audience. Such intense musical communication, of course, requires the highest technical expertise on the part of the members of the orchestra. Alexan- der Liebreich has moulded the twenty-five string players (the permanent core of the MKO) into an ensemble capable of immense stylistic variety. The musicians switch with great agility from historically informed performances of Baroque and Classical works to the very particular technical demands of contemporary music. Able to draw on a permanent pool of outstanding wind and brass soloists from Europe’s fin- est orchestras, the MKO, in the form of a “slim” symphony orchestra, can take advantage of its special sound when it comes to setting new standards in the interpretation of some of Beethoven, Schubert and Schumann’s most important works. Renowned guest conductors and a phalanx of outstanding international soloists regularly provide new artistic impulses. In addition to this, a well-established feature of the subscription series and of the orchestra’s guest performances are the concerts conducted by one or other of the MKO’s two concert masters. And it is on these evenings that the sense of responsibility and the unconditional commitment of each individual musician are especially apparent. Founded by Christoph Stepp in 1950, the Munich Chamber Orchestra was subsequently guided and conducted by Hans Stadlmair for almost four decades, starting in 1956. In the mid-1990s the orchestra was faced with an acute existential crisis. Following an acute finan- cial crisis, today the MKO receives funding from the City of Munich, the Bavarian state and the district of Upper Bavaria. European Computer Telecoms AG (ECT) has been the MKO’s official main sponsor since the season 2006–07. As the result of a professionally presented sponsorship offer, in recent years numerous other companies and private benefactors have generously given their support to the orchestra. The MKO is a modern, flexible ensemble that is not only committed to an extensive musical repertoire, for it has also developed other very different activities outside its subscription se- ries. 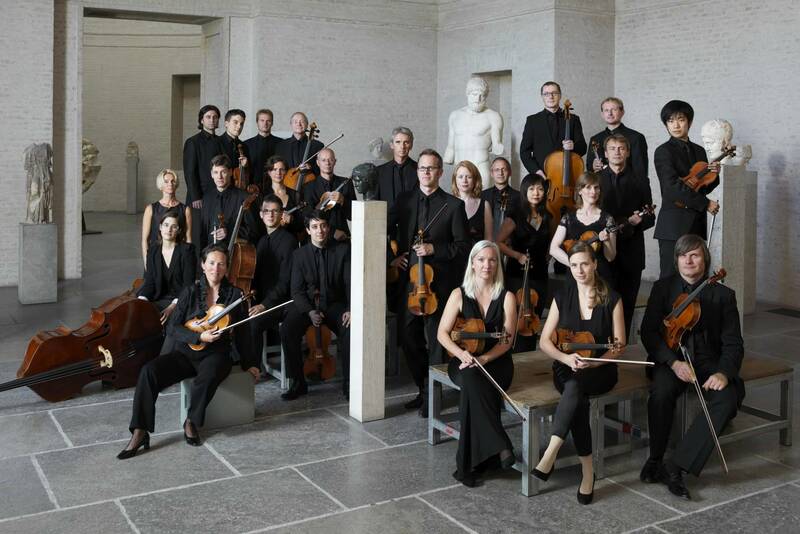 The orchestra presents a further sixty concerts all over the world. In the season 2010– 11 the orchestra toured to Asia (Taiwan, Hong Kong, Beijing, Shanghai), Spain, Scandinavia and South America – including Rio de Janeiro, São Paulo, Santiago de Chile and Teatro Colón in Buenos Aires. 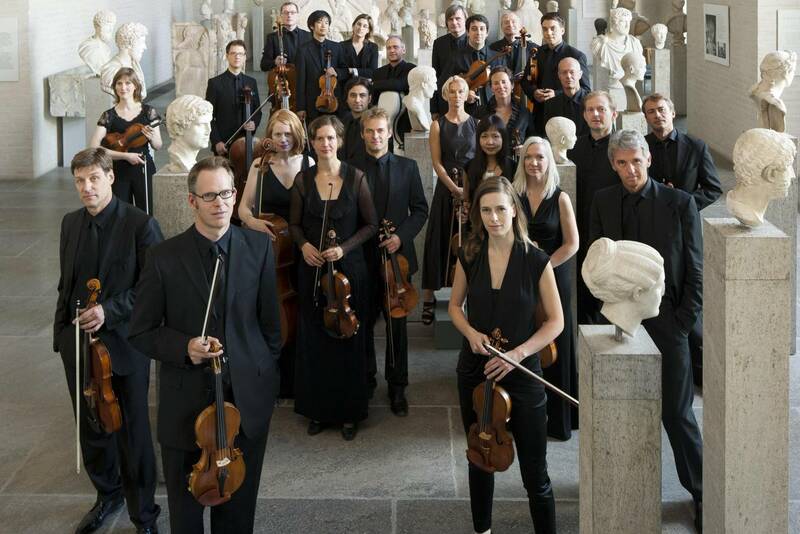 The Munich Chamber Orchestra regularly participates in the Munich Biennale, where – fol- lowing world premieres of works by Tan Dun, Chaya Czernowin and Vykintas Baltakas – it was recently involved in the world premiere of Lin Wang’s opera Die Quelle. Also it collabo- rates with the Bayerische Theaterakademie and its director Klaus Zehelein; following their joint-production of Gluck’s The Pilgrims to Mecca and Mozart’s Marriage of Figaro with Mo- zart’s La finta giardiniera in this season. The MKO’s recordings for ECM Records include works by Hartmann, Gubaidulina, Bach and Webern, Mansurian, Scelsi, Barry Guy and Valentin Silvestrov. The orchestra’s first record- ing under the baton of Alexander Liebreich, with works by Joseph Haydn and Isang Yun (al- so with ECM) was hailed by the New Yorker in 2009 as one “of the most satisfying classical disks of the past few months”. 2011 a portrait CD with works of Toshio Hosokawa followed. In spring 2010 Deutsche Grammophon released a recording of a Bach programme featuring the violinist Hilary Hahn with Christine Schäfer, Matthias Goerne and the MKO conducted by Alexander Liebreich. In May 2011 a CD with Rossini Ouvertures was released by Sony. Oth- er recordings of the MKO have also been issued by labels such as Sony and Deutsche Grammophon. 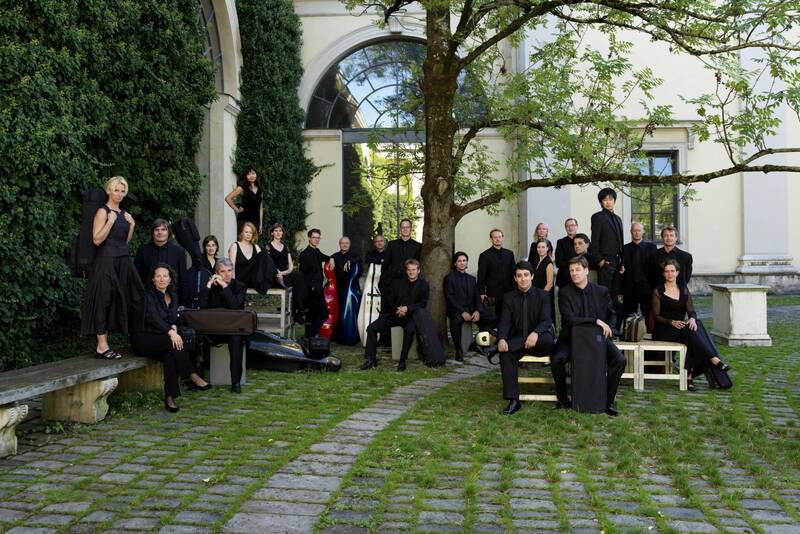 An important aspect of the activities that Alexander Liebreich has initiated with the Munich Chamber Orchestra is the orchestra’s integrative work under the auspices of its “Munich Pro- ject”. Concerts and workshops, a mentoring scheme and other initiatives have been set up with the aim of activating links between the orchestra and its hometown of Munich and of developing collaborative schemes with institutions serving the needs of young people and society at large. The desire to shoulder social responsibility also underpins the MKO’s Aids Concert that has become a permanent fixture in Munich’s concert calendar since the first concert four years ago. No less than seventy guest musicians from all over the world joined the strings of the Munich Chamber Orchestra in February 2010 for a completely sold-out per- formance of Mahler’s Fourth Symphony in the Prinzregententheater. All the performers waived their fees so that the entire takings for the evening could go to Munich’s Aids pro- grammes. “Rarely is the audience for classical music so young and enthusiastic”, as the Süddeutsche Zeitung reported in its review of a concert that ended with extended standing ovations. Giglberger Daniel was born in 1972 in Freising. He studied with Christoph Poppen, Donald Weilerstein and Gerhard Schulz and attended master classes with Franco Gulli, Walter Levin, Miriam Fried and Joseph Gingold. He was Fellow of the European Mozart Foundation and the Karl Klingler Foundation and gained important insights into the area of historically informed performances through working with Reinhard Goebel. Daniel Giglberger won the competition “Jugend musiziert”, the II. Concours International de Chateau du Courcillon (France) and the Chamber Music Competition of the Hochschule für Musik Detmold. As a soloist and chamber musician, he has given numerous concerts in Japan, China, the USA and Europe and was a guest at many prestigious festivals, such as the Schleswig Holstein Musik Festival, Rheingau Musik Festival, Styriarte in Graz and the Carinthischer Sommer in Ossiach. In 2001 he gave his debut in the chamber music hall of the Berlin Philharmonic and performed concerts in the Musikverein Vienna, the Théâtre de Champs Elysee in Paris, the Alte Oper in Frankfurt, the Cologne Philharmonic. Daniel Giglberger performs regularly in festivals such as St. Gallen Festival in Styria and Festival Bonheur Musical in Lourmarin/ Provence. As concert master Daniel Giglberger is well received with many other orchestras; her regularly works with the Radio Symphony Orchestra Frankfurt, the Deutsche Kammerphilharmonie Bremen, the Bayerische Staatsorchester, the Kioi Sinfonietta Tokyo, the Stuttgart Chamber Orchestra, the NYDD Ensemble Tallin as well as the Ensemble Oriol. Since 1999 he is concertmaster of the Munich Chamber Orchestra. Daniel Giglberger is equally interested in contemporary music as well as historical performance practice in baroque and classical styles.